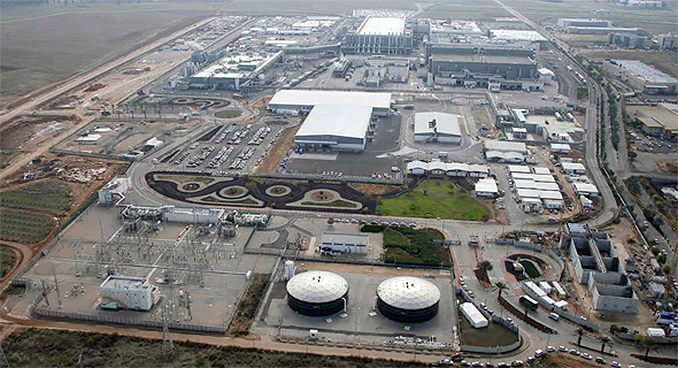 Intel and two Israeli ministries this week announced that the chip giant plans to invest $5 billion in its Kiryat Gat fab complex – Fab 28 – through 2020. Under the plan, Intel is expected to buy various products from local suppliers and hire additional personnel. In return, Israel will provide the processor maker a tax rebate and a government grant. Furthermore, Intel will receive another grant if it upgrades its manufacturing in Israel further. Under the terms of the investment plan, Intel will invest $5 billion (NIS 18 billion) in its Kiryat Gat ventures until 2020. The chip giant is expected to buy $838 million (NIS 3 billion) worth of local goods and add 250 people to its workforce, reports The Times of Israel citing the Finance Ministry. If the plan is approved by the Israeli authorities, Intel will get a 5% tax rebate till 2027, as well as a $195.5 million (NIS 700 million) government grant. Additionally, if Intel decides to “significantly upgrade” its fab “technologically”, the company will get another $195.5 million grant. Haaretz newspaper reports that the new $5 billion investment plan focuses on production expansion, but not on manufacturing technology upgrades. This is not be the first announced expansion of Fab 28 in the recent years. Intel took over Micron’s 200-mm fab in Kiryat Gat in 2013 (after transferring its Fab 18 to Numonyx in 2008 and then selling its stake in the company to Micron in 2010), then disclosed plans to convert it to 300 mm wafers and make it a part of the Fab 28 complex. It is unknown whether all the conversions/upgrades have been completed. Back in 2014, Intel and Israel's ministries of economy and finance agreed to a plan under which Intel would invest $6 billion in Fab 28 in a bid to prepare it to produce CPUs using its 10 nm process technology. Since the latter has been delayed to the 2018 – 2019 timeframe, it is likely that the new production lines that went online in late 2016 are using Intel's 14nm process, though Intel has not officially confirmed this. Meanwhile, it is unclear where Intel's progress stands on installing the latest DUV equipment needed to produce 10 nm CPUs at the fab, which is a prerequisite to upgrading to future process nodes. Well that team did "make" the core solo family of CPU which replaced Pentium 4 and became core 2, as well as future revisions became Core i chips....that being said, if Intel "could not" make 10nm via all their fabs for years now, then likely spending billions of $ onm expansion will make it happen either.